Our skin is often connected to our self-confidence, as it determines the outward perception of both our health and beauty. Unsurprisingly, those living with continual skin conditions can often struggle with self-esteem issues. Read how to boost your confidence when living with a skin condition. A survey of 2,000 UK women found that 51% of participants feel their skin holds them back from living life to the full. This proves how a person’s negative thoughts can stop them from embracing different opportunities and reaching their potential. While it might seem easier said than done to develop a positive attitude, it can boost your quality of life. By focusing more on the positive things in our life, you can stop worrying so much about a skin condition, such as acne or eczema. 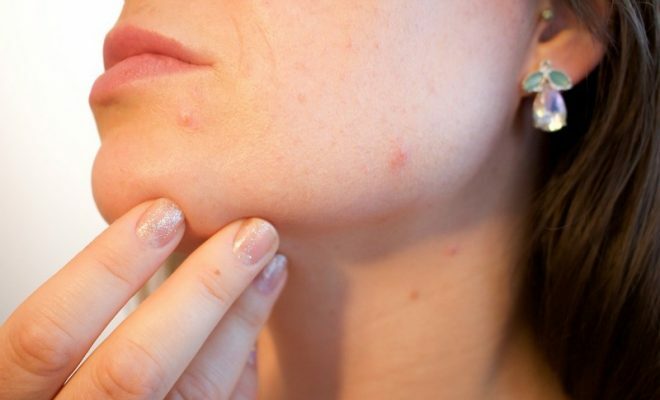 Do you spend many of your days staring at the different blemishes on your skin? Well, it’s time to stop. It’s important not to become obsessed by a skin condition, or it could define your life. The next time you think about scrutinizing your skin, step away from the mirror and do something a little more productive. It will help you to banish those negative thoughts we mentioned earlier. Unfortunately, certain environments and products can trigger an outbreak that can play havoc with our confidence levels. Thankfully, there are effective treatments available to help you prevent, alleviate or banish a skin condition for good. For instance, a doctor can often provide a steroid cream for skin conditions such as eczema or psoriasis. You can also turn to shytobuy UK for a discreet and effective acne treatment. Many will want to banish a skin condition for good. However, you must have patience when trying a product or medication for the first time, especially if you are living with acne. There is often no overnight fix to a skin complaint. It can take weeks or months. If you follow the instructions, you can trust you’ll eventually achieve beautiful glowing skin. It’s easy to feel alone when living with a skin condition. Few people may understand the toll it can take on your self-esteem. The wonderful thing about the internet is that it can unite different people from all walks of life. It’s, therefore, the perfect place to connect with people who are struggling with the same skin condition. Learning their story may make you feel less alone and can help to put things into perspective for you. It’s also a great way to find out some helpful tips and tricks to help boost your confidence. Don’t allow a skin condition to take control of your life. Focus on the positive aspects of your life, and embrace every opportunity that comes your way. With a little patience and help from like-minded people, you will soon develop a radiant complexion that makes you feel even happier in your own skin.